Jonas Smulders (Amsterdam, 1994) has made over 10 films since his debut in the 2011 TV series, HOW DO I SURVIVE. At the age of 22 he wasawarded the Golden Calf Award for Best Actor for his lead role in WE WILL NEVER BE ROYALS, a role which gained him international recognition as well. In 2015, he won the Spotlight European Breakthrough Award at Kilkenny’sSubtitle fest. 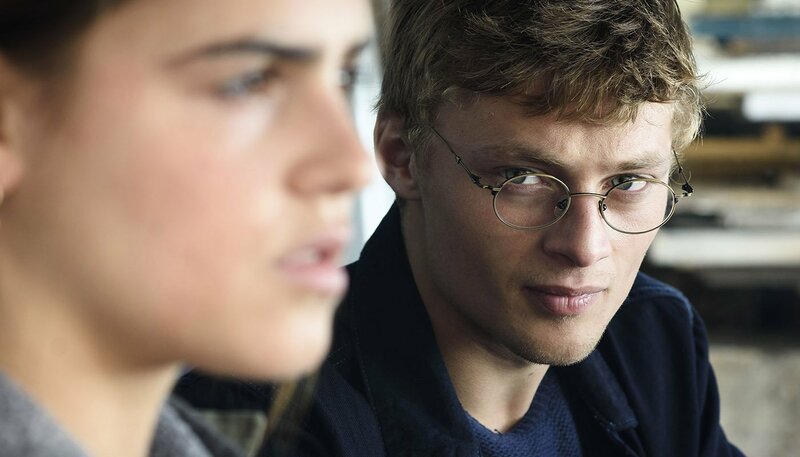 The International Film Festival Berlin selected Jonas as a Shooting Star 2018, one of ten brightest young European actors. His film debut was in TUNNEL VISION, part of One Night Stand, a short film initiative by Dutch broadcasters VPRO, NPS and VARA. In 2013, he had a breakout role as the lead in Mees Peijnenburg’s graduation project EVEN COWBOYS GET TO CRY, which screened at Berlinale, and in the feature THE DINNER by Menno Meyjes. He also appeared in the TV film BOYS by Mischa Kamp, which screened in various international film festivals. In 2014, Smulders landed his second leading role in KETAMINE by Rogier Hesp. In 2015, he was cast in the film adaptation of the Dutch bestseller VENTOUX; had the lead roles in the One Night Stand’sA GOOD LIFE by Aaron Rokus; and in WE WILL NEVER BE ROYALS, about a troubled teenage brother and sister growing up on their own in child protection, working again with director Mees Peijnenburg. The latter earned him a Golden Calf Award for Best Actor in a TV drama. The same year he was awarded the Spotlight European Breakthrough Award at Kilkenny’s Subtitle Fest. In 2016, Smulders was cast in the several films and TV series: BRASSERIE VALENTINE, ZENITH and Marc de Cloe’sdrama SILK ROAD. Smulders can most recently be seen in the leading role in Bram Schouw’sdebut feature BROTHERS. However, his experience on sets has also whetted his appetite to write and direct. He already has one directorial credit to his name, Tex, which he made in 2017, just before he started at the Netherlands Film Academy to study direction. He aspires to combine acting and directing throughout his career.